There is no better feeling in the world than completing a workout, especially in the morning. Sure, there may be a puddle of sweat under our feet. And yes, we did lose and an extra hour of sleep. But look at all that we’ve accomplished! The downside? Think of all those pimples, breakouts and redness that will surely follow our sweat-filled session. Sure, a good workout can set a positive tone for our entire day, but it often sets a negative one for our skin. But what if there was a way to avoid that? Well, thanks to this brand-new product, we’re confident it won’t just keep up the tone of our day. It’ll set the tone for the remainder of our day. 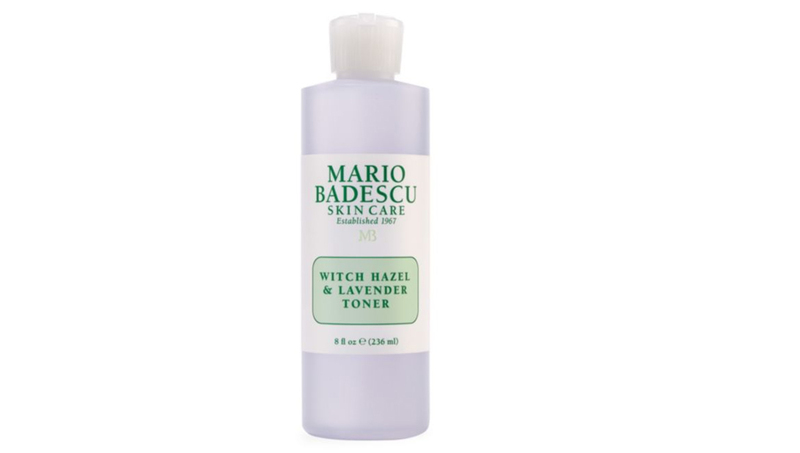 See it: Grab the Mario Badescu Witch Hazel & Lavender Toner for $14 available at Saks Fifth Avenue! Also available at Anthropologie! The Mario Badescu Witch Hazel and Lavender Toner is the newest scent from this fan-favorite brand. Forget about stressing over all of those skin breakouts! This clarifying, lavender-infused toner looks to not only soothe and refresh our worries but our skin, too. Formulated with witch hazel and infused with a blend of aloe, lavender essential water and lavender oil, this toner is a major multitasker. The toner looks to clarify our skin and give it a post-cleanse boost while ensuring that it will not strip our skin of its natural moisture. How refreshing! Actually, it is. The lavender formula is refreshingly fragranced to perfection. This super-satisfying toner looks to restore balance not only within our lives but within our skin’s appearance, too. This lightweight formula looks to calm and clarify skin and restore its youthful glow. By simply implementing this toner into our day-to-day routine, our skin can appear more balanced after just a few uses. For maximum results, it’s recommended to use this toner twice a day daily. Simply apply a dab-sized amount to a cotton ball or a cotton pad. Go ahead and press the product into the skin by using outward motions up and down the skin. Good skin has never been so easy! Make no mistake, this skin-saving toner is not just hype. It’s worth the hype. 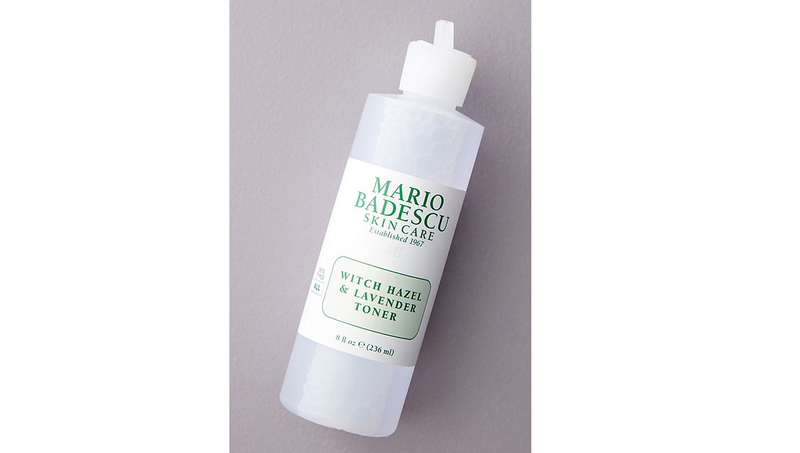 Whether a first-time user or longtime-lover of the Mario Badescu brand, it’s been making life-changing and skin-saving products for years, including the forever favorite Witch Hazel and Rosewater Toner. For over 50 years, Mario Badescu has integrated all of European-style facials and rituals into the hustle-and-bustle lifestyle, since the essential relationship between good skin and beauty can still be achieved when facing jam-packed schedules. His deep understanding of varying needs for differing complexions shaped the products within the line and can be used from the comfort of our homes or taken on-the-go. Case in point? This witch hazel and lavender toner, of course! It’s the perfect size when looking to grab-and-go. Throw it in gym bags, commuter totes or even duffle bags. Go ahead and even store an extra in the bathroom cabinet, too! It’s the perfect product when looking to combat any of our skincare concerns. When looking to make life a little bit easier, opt for this toner to set all of our days off on the right tone. Not your style? Check out more Mario Badescu products and even more toners also available at Saks Fifth Avenue!